How Do I Prove My Injury Is Job-Related for Purposes of Workers’ Compensation? Causation is critical to establishing a workers’ compensation claim in Tennessee. In other words, you cannot receive benefits from your employer unless you can prove that your injury is directly related to your employment. 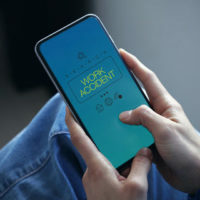 A workers’ compensation official will not accept conjecture or speculation that merely suggests the injury could be work-related. Here is a recent example illustrating this point. A Bridgestone employee filed a workers’ compensation claim. He said that while “pulling tires” during a work shift in July 2014, he experienced pain in his left shoulder. The employee informed his supervisor but continued to work. Approximately two months later the employee went to a walk-in clinic. During this visit he complained not only of the ongoing shoulder pain, but also an unrelated cough and chest pain. Five days after that, the employee had an appointment with his primary care physician, where again he mentioned the shoulder pain and other ailments. Although the employee said he told his doctor that his shoulder injury arose from a work-related accident, there was apparently no mention of this in the physician’s treatment notes. Shortly thereafter, the employer fired the employee due to his poor attendance. The employee subsequently filed a claim for workers’ compensation benefits. As required by law, a doctor approved by the employer examined the employee. This examination took place in December 2014. The examining physician diagnosed the employee with “progressively worsening” shoulder pain. But the doctor could not “identify any specific work-related injury to the patient’s left shoulder.” Based on this, the employer denied workers’ compensation benefits. The employee later underwent orthopedic surgery on his left shoulder. The surgeon later testified the employee suffered from arthritis and a partial tear of the rotator cuff. The surgeon said the injuries were consistent with the employee’s claim he injured the shoulder while pulling tires at work back in July 2014. But under cross-examination from Bridgestone’s counsel, the surgeon acknowledged there were “several factors that could have contributed” to the employee’s shoulder problems, notably his age and underlying arthritis. The Tennessee Workers’ Compensation Appeals Board supported the employer’s decision to deny benefits under these circumstances. The Appeals Board said the examining physician’s conclusion that the employee’s injury was not work-related was presumed correct under Tennessee law. This meant the employee had the burden of overcoming this presumption through other evidence, such as the surgeon’s testimony. Yet as the Board noted, the surgeon identified a number of non-work-related contributing factors. This was therefore not enough to overcome the presumption. The employee sought further review of the Appeals Board’s decision with the Special Workers’ Compensation Appeals Panel of the Tennessee Supreme Court. But in an opinion filed on June 8, 2018, the Appeals Panel adopted the decision of the Appeals Board as its own. Need Help with Your Workers’ Compensation Claim? Never assume that just because you suffer an injury while at work that your employer will automatically pay benefits under workers’ compensation without question. If your claim does run into resistance and you need to speak with a Clinton workers’ compensation lawyer, contact the offices of Fox & Farley, Attorneys at Law, today.